(Newser) – There are fates worse than sleeping with the fishes. Police in Italy believe a Mafia boss who disappeared last year was kidnapped by a rival clan who beat him with metal bars before feeding to a herd of pigs who devoured him as he screamed for mercy, the Telegraph reports. "It was satisfying to hear him scream," a gangster said in a phone call intercepted by police. "Nothing remained at all. I said, wow, how a pig can eat!" Reminds me of scenes from the movie "Hannibal" where Lecter was supposed to be eaten alive by a herd of wild boars. Horrible way to die, indeed. Being eaten alive! 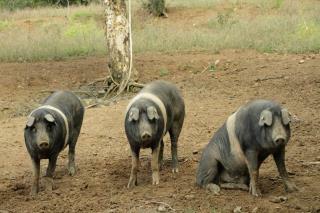 It NOT NICE PIG ARE GREAT Animals have to love them & feed them don't starve them lot of food to go around.